Why rent Serviced Office Space in KL Sentral? Kuala Lumpur Sentral is no doubt in the heart of Kuala Lumpur , Malaysia. It is a luxurious urban center built around Malaysian’s largest transit hub. The city offers vast investment and business opportunities plus a desirable international lifestyle. If you have decided to establish or move your business to KL Sentral, you are definitely on the right path. Take the advantage of the available serviced offices for rent in KL Sentral for a quick set up and grow your business in the shortest time possible. The layout and outline of Kuala Lumpur Sentral are based upon the “City-within-a-City” concept put forward by renowned architect, Dr. Kisho Kurokawa. Located at the center of this development is the RM1.1 billion popular transit hub, Stesen Sentral. The infrastructure supports six rail networks which are the KLIA Express Rail Link, RAPID KL (Putra), KLIA Transit, KTM Intercity, KTM Komuter, and KL Monorail Services. This means excellent global connectivity in terms of transit and access within an all-encompassing work, live, and play environment. With billions of ringgit spent on the city, KL Sentral records the largest commercial development in Kuala Lumpur today. So far, this part of Malaysia has already attracted a lot of prominent local investors to set up their businesses and global investors to set up their homes and offices. Should you move your Business in Kuala Lumpur Sentral? Again, KL Sentral is a world-class city centrally located around Malaysia’s Largest Transit hub. The city offers seamless global connectivity and therefore an excellent place to launch and run your business. With over 6 major transit networks, you can start to imagine how well your business will thrive in KL Sentral. There are many other reasons why you may consider moving your business to KL Sentral. KL Sentral is a very well known development in Kuala Lumpur, Malaysia. The city is strategically located and well-connected to prominent landmarks such as Bangsar South City, Mid Valley City, etc. More so, it is easily accessible through the Kuala Lumpur City Center (KLCC), Damansara, Petaling Jaya, and so on. KL Sentral is better off in terms of connectivity and the holistic all in work, live and play environment and The “city-within-a-city” concept facilitates the development of several mixed usage buildings like corporate office towers, hotels, and resorts, residential; buildings, shopping mall, retail outlets, and so on. What’s more, KL Sentral was awarded the Multimedia Super Corridor (MSC) Cybercenter award on February 2006 and has maintained the status quo ever since then. The invaluable facilities and amenities, as well as world-class office spaces, make KL Sentral a perfect city to launch and run your business. Additional to that , there are several serviced offices for rent and co-working spaces in KL Sentral that will match the business goals and requirements of many corporations and startups. The types of Office Space in KL Sentral are available in the form of conventional office space , serviced office space and co-working space in both Grade A and Grade B corporate office buildings, The average rental price for a workstation start from RM400 a month up to RM1600 a month, depending on building grade and location. Serviced offices in Q Sentral provide small to large private office suites from 1 to 20 + workstations in KL Sentral. The facility offers affordable small office spaces in a collaborative environment. The major features of the facility include air conditioning, high-speed internet, and Wi-Fi connections, meeting/conference rooms, surveillance camera, pantry, and reception. Other property features include a car park, call answering, restroom, virtual office, AV equipment, and many more. The monthly rate and lease duration is flexible and you can always get one that fits your budget and your company requirements. 2. Axiata Tower (Formerly known as Quill 7) Built in 2009, Located at Jalan Stesen Sentral 5, 50470, KL Sentral, Kuala Lumpur , There is a fully serviced office facility inside this building . This office structure occupies the entire 27th floor of this mighty building known for its bespoke architectural design and IT facilities. This Grade ‘A’ building is strategically opposite Kuala Lumpur Sentral, the main transportation hub of Kuala Lumpur where accessibility and connectivity are high on the list with state-of-the-art light rail, monorail, city-airport terminal and intra-city train systems converging at one place. Some other features of this office facility are CCTV security, meeting rooms, bilingual staff, cleaning services, mail collections, restroom, car park, business lounge, and so on. The Axiata Tower is perfect for businesses of all categories. 3. Menara Allianz Sentral ( Nu Tower 1 ) Built in 2013, Menara Allianz Sentral is a MSC certified premium Grade A office building with average floor plate size of more than 10,000 sft that incorporates serviced offices which are well furnished and serviced to cater for your business needs. 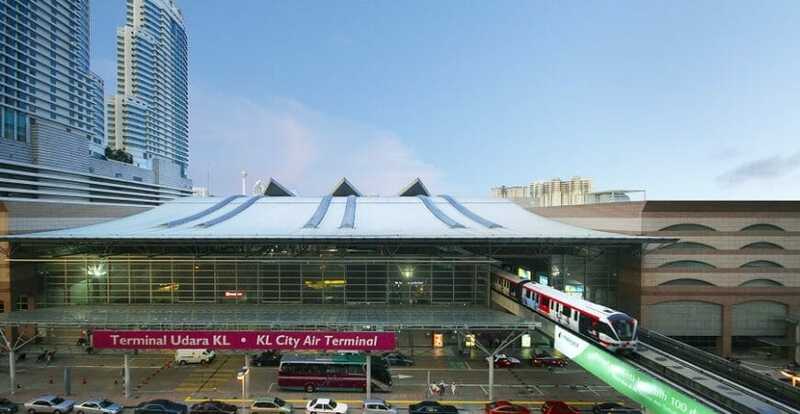 It is strategically located just beside the KL Sentral station where the express train direct from KLIA passes and also connected to a large retail mall. More so, the location combines all public transport systems in Klang Valley into a single hub. It provides comfortable office facilities at a strategic location that will add value to your business. If you are looking for serviced offices for rent in KL Sentral, Menara Allianz Sentral ( Nu Tower 1 ) should be part of your shortlist. It also has common property features like restrooms, car park, bilingual staff, telephone, reception, broadband internet services and so on. 4. NU Tower 2 NU Tower 2 is also a new MSC certified Grade A premium office located at KL Sentral. The building has direct access to Sentral station, with MRT & LRT – Malaysia’s largest transportation hub and the NU Sentral KL’s most exciting and lucrative green lifestyle mall. The Serviced office at NU Tower 2 allows you to sky-rocket your business to anywhere you want. Meanwhile, the excellent architectural features of this building allow you to have a wonderful view of the city. The features of this office property include MSC compliance, spacious drop-off area, ample parking space, AV equipment, security access, and lots more. More so, the structure is linked to the Aloft Hotel, NU Sentral Shopping Mall and easy railway access to Stesen Sentral. Built in 2013, Menara Shell is a Grade A office development consisting of a 33-storey office tower known as Menara Shell together with a 5-storey podium and a 4-storey basement carpark. 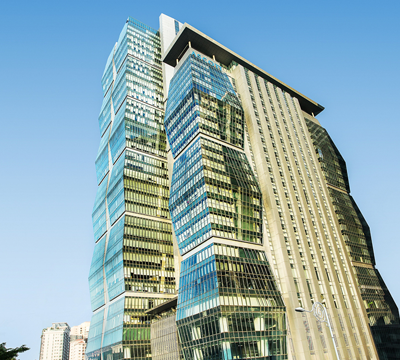 Menara Shell is certified Green building with energy efficiencies and has been accorded LEED platinum certification. Its also a MSC certified building. Its also connected to Sentral station , with easy access to whole of Klang Valley via MRT , LRT and KTM. At the same time, it is also connected to Ascott Residences, a renowned serviced apartment . The offices within this tower are very spacious and well-furnished to meet your business needs as well as global demands. The office facility is also characterized by the latest IT technologies offering super-fast IT access. The property has a professional-manned reception with a telephone-answering feature that will welcome and direct your customers, clients, and visitors whilst offering you excellent administrative support when needed. Other features of this office facility in KL Sentral includes Air conditioning, Broadband internet access, WI-FI, parking lot, reception services, virtual offices, restroom, and lots more. The award-winning 1 Sentral is a unique, purpose-built 30 storey corporate office tower located at the north-west corner of Kuala Lumpur Sentral. Integrating a variety of design techniques that makes it eco-friendly and aesthetically pleasing, It is equipped with facilities such as mini auditorium, gymnasium and recreational area. Its architecture has integrated a variety of design techniques that make it eco-friendly and aesthetically-pleasing. Restaurants, top hotels and shopping centres are all within a five- to 10-minute walk from the centre. Serviced offices and co-working space in 1 Sentral provide Ready-to-use private office space so you can just show up and start working. Options include window offices, interior offices or office suites. Co-working spaces include everything you need to be productive. Choose either your own permanent desk or go for a hot-desking setup. One of the most prominent landmarks in Kuala Lumpur, with CIMB being an anchor tenant, the office floors comes with large floor plate of 22,750sf and raised floor for the convenience of the tenants. The state-of-art design of the building and the fact of being within same building with Malaysia’s second largest banking group provide the best corporate image to the tenants. Due to its connection to KL Sentral transportation hub, it offers easy access to KL town , rest of Klang Valley, and also KLIA Other than its strategically located between KL & PJ, the road accessibility of KL Sentral is further improved by the highway connectivity to KL & PJ (through SPRINT) and Subang (through NPE). 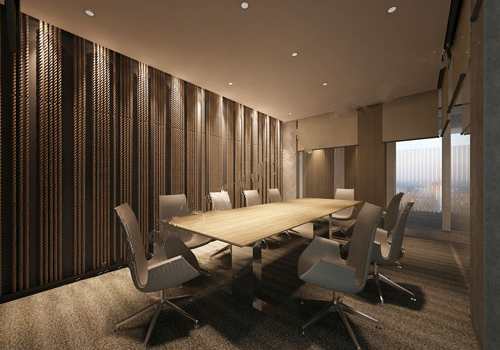 The Business centre at Menara CIMB provides luxuriously furnished private and serviced offices for rent, and also facilities like conference and board rooms with state of the art technology, pantry , and professional looking business lounge and reception. Due to its centralised location and almost complete infrastructure and amenities, Kuala Lumpur Sentral is a overwhelming popular location that is highly sought after by many businesses, MNCs, and startups for their choice of offices and even headquarters here in Malaysia or even South East Asia. There are also many choices of serviced offices and co-working space for rent available in KL Sentral for businesses which are looking at more flexible leases and number of workstations. There are also conventional office spaces, flexible office spaces, virtual offices, and private offices. If you are looking for any serviced , private office space or co-working space in KL Sentral, speak with us today!